After some issues with the venue, we’re happy to announce that we’ll be playing at the Rockit Room. 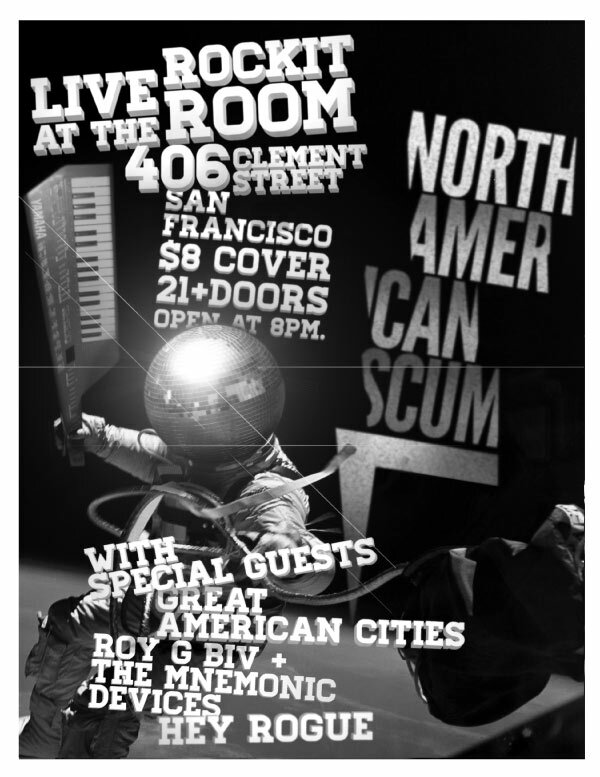 With special guests: Great American Cities, Roy G Biv & the Mnemonic Devices, and Hey Rogue. This entry was posted in General, Photos, Shows by strngwys. Bookmark the permalink.